A new section, entitled Complaints, was added to the Call for Application Experiments. It contains details of the procedure to follow in case applicants wish to submit to the SmartEEs Evaluation Panel complaints related to decisions of proposal evaluation and selection. The above-mentioned changes are available on SmartEEs website: https://smartees.eu/smartees-call-for-projects/ . 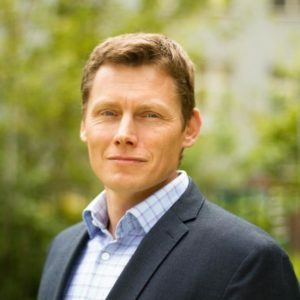 It is our pleasure to introduce Rudolf Fryček, the CEO of AMIRES who has more than 14 years of experience in the European project management and consultancy, and who is responsible for the evaluation process of proposals submitted to the SmartEEs Call for Application Experiments (AEs). In this interview he will be elaborating on the experiences with the first two cut-off dates, results of the evaluation process, and major challenges with selection of the best applicants. What is the role of AMIRES in SmartEEs? AMIRES is one of the two private companies in SmartEEs project, bringing experience in business innovation consultancy, particularly towards publicly funded research, development and innovation projects. Our broad portfolio of customers lists pre-industrial companies (start-ups), growing SMEs as well as the largest European companies and research organizations. Concretely in SmartEEs, myself and my team not only provide support to the coordinator with management and coordination of the project, but we are also responsible for the evaluation process of submitted proposals for our Call for Application Experiments (AEs). In addition, we have been tasked with setting up and management of a Helpdesk for the entire duration of the Call. Finally, we are also involved in procedures setting and appropriate templates definition for all the above-mentioned tasks. You organized an open call with 5 cut-off dates, 2 of which have already expired. What can you tell us about the submission process, and applicants who applied to your Call? Yes, you are right. We have already had 2 cut-off dates for submission and evaluation of proposals, and I have to say that they have been quite successful. We managed to attract a fair number of applicants in both dates, which testifies that there is a lot of interest in SmartEEs funding opportunities and flexible electronics technologies. Although, I have to say that we have had a large share of applications pushing proprietary technologies during our 1st cut-off date, and we had to reject them all, because we are looking for SMEs, Mid-Caps or start-ups which are interested in integrating mature flexible electronics technologies into new products and services. Thanks to more clear instructions published on the website, during webinars and by our helpdesk, the situation improved significantly in the 2nd cut-off date, where all applicants were properly fitting the SmartEEs offering. Our aim is to make the submission and evaluation process as simple and easy as possible. The process mimics the EU submission processes. We have introduced a novelty for the 2nd cut-off date, and that is the submission and evaluation software. Compared to the 1st cut-off date, where applicants had to download the application from, fill it in and send it by email, in the 2nd cut-off date applicants were required to register through the submission software at https://apply.smartees.eu , download the Application Form, complete all its fields, save it as a PDF file (MAX 5 pages), upload and submit it through the software. This simplified the administrative burden for the applicants and allowed making the proposal very illustrative, with possibility to integrate pictures, charts, bullet points, etc. You mentioned that AMIRES setup a Helpdesk for applicants. What is the added value of the Helpdesk? The Helpdesk is operational from Monday to Friday form 9 a.m. to 17.00 p.m. CET, and it provides assistance to all interested parties. Potential applicants should contact the Helpdesk with all types of requests, administrative and also technical ones. Following the 2 cut-offs experience, we now encourage all companies interested in SmartEEs to contact the Helpdesk and discuss their ideas with our RTOs, because it is indeed important for all parties to clarify and understand the actual nature of support offered by SmartEEs before applying. Therefore, the Helpdesk has a crucial role in understanding the companies’ ideas, and pre-screening and encouraging only the best fitting applicants to apply to the Call for Application Experiments. This is definitely an added value, because we save time and effort for evaluation of inadequate proposals. Can you tell us something about the evaluation process? How did you organize it? We have organized our evaluation process based on our internal experience as project officers and evaluators, replicating the EU evaluation processes. In the case of SmartEEs, we took inspiration from SME Instrument, phase 1, because of its simplicity and scale relevance. Our main aim was to make the process as simple and easy as possible. And, most importantly, our objective is to complete the process in the shortest possible time, without unnecessary delays. That is why we have anticipated as many steps of the process as possible and we have defined our internal procedures which are carefully respected as soon as a cut-off date expires. We have an Evaluation Panel which is composed of 4 evaluators who evaluate all proposals submitted in a particular cut-off date. We do not use external evaluators, but SmartEEs partners who rotate between the cut-off dates. All SmartEEs partners except AMIRES take part in the evaluation of submitted proposals. By mobilizing our internal resources, we are able to compete the process in the shortest possible way, and efficiently, because the RTOs evaluating proposals can immediately identify the technological barriers and/or feasibility of each submitted proposal. This helps us exclude too ambitious research-oriented proposals and concentrate only on the best ideas, which can be realized within 6-9 months, with available budget. Do you consider the process successful based on the results of the 2 cut-off dates? Yes, we are very happy to select and to finance 3 application experiments in the 1st cut-off date, and 4 in the 2nd cut-off date, and provide them with technical and non-technical services (i.e. almost 20% success rate in both cut-offs). We hope that we will continue with these results, because our aim is to provide financial assistance to 20 application experiments altogether until the end of SmartEEs. This way, we will be able to achieve our ultimate goal which is to help innovative companies to access new markets and grow their business in adopting flexible electronics in new products. What are the greatest challenges that you had in the evaluation process? The greatest challenge was involvement of investors in the evaluation process of the 1st cut-off date which proved inadequate for SmartEEs needs. Although the scoring and the evaluation process have been introduced to the private investors upfront to their evaluations, they maintained their own evaluation spirit in assessing Investment Readiness Level (IRL) according to their own point of view. Private investors evaluations are in any case valuable to define the main actions to be undertaken with SmartEEs support to reach relevant IRL, and they will be kept in the SmartEEs Community, but will be involved in a later stage, once the application experiment proposals are selected. You introduced the software for submission and evaluation process in the 2nd cut-off date? What is your experience with that? We are very proud of our proprietary software, because it is user friendly and straightforward application. It has two functionalities, one for the submission of proposals, and the other for their evaluation, and it is therefore used by applicants, and by evaluators. As administrators, we use the software to interact with the users, collect their submitted applications, and evaluations, and personalize the cut-off dates. The software has simplified our work even more, particularly in terms of calculating the average scores and making the ranking lists, but also in sharing the application forms with our evaluators. It is also less prone to errors in reception of applications, and evaluation of proposals compared to the email exchange and merging of received files in one document. I have to say that our evaluators appreciated the software, particularly those ones who have been involved in evaluations of proposals for both cut-off dates. They consider the tool very useful and very good. We also hope that it was a positive experience for our applicants as well. Thank you for your time. What would be your message for our readers? I would like to thank your readers, and particularly all those companies that applied to our Call. I would also like to invite all other companies who have interesting ideas on how to use SmartEEs flexible electronics technologies (available on our Marketplace) into novel products to absolutely contact us and discuss with our RTOs the technical eligibility of their proposals before applying. We are happy to offer our assistance to all interested parties, and our funding to the successful applicants. A big good luck to all of you! Do not forget, our next cut-off date is 16th November 2018. What is Flexible Electronics all about according to experts? SmartEEs team attended the Large-area, Organic & Printed Electronics Convention, LOPEC, in March 2018. This leading trade fair for printed electronics gave SmartEEs the opportunity to promote its acceleration program. It also gave SmartEEs the opportunity to exchange with some Flexible Electronics experts who accepted to share with the SmartEEs community their perception of what those technologies are all about. 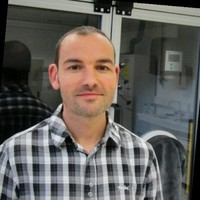 Stephane CROS got a Ph.D. in physico-chemistry in 2002 from the University Paris VI, working on multilayers structures based on nanocomposite organic/inorganic materials. After a first experience in the field of polymer processing, he joined the CEA tech in 2004 to develop the thematic of encapsulation, gas barrier measurements and gas barrier materials in the Organic Photovoltaic team. Since 2005, He is working in the National Institute for Solar Energy (CEA/INES). Corne Rentrop from the Holst Centre is coordinating the InSCOPE project dedicated to build a European pilot line for hybrid printed electronics. In the Pilot line equipment and functionalities from various research Centres are combined to mature the printed electronics roadmap. “In InSCOPE the RTDs have the opportunity to offer their services to companies that request large numbers of samples that are able to survive in an industrial relevant environment. By working together we can offer more than we can do singlehanded. We can create e.g. >10.000 packages, or print 300 m of hybridized foils and at the same time maintaining high yield and quality. Signify (Philips), Bosch, KONE and Glaxon Smith Kline (GSK) are partners that are now requesting these services, but also SMEs and Midcap companies will be serviced. It is a thrilling experience to achieve the production of large flexible electronics products and high number of samples in the pilot line and to be able to deliver them to our industrial partners. This way we can see our long and hard work in research coming to life into real end-use products. Following the evaluation process of proposals submitted by the 2nd cut-off date, the SmartEES consortium has selected 3 proposals to proceed with the contracting phase. 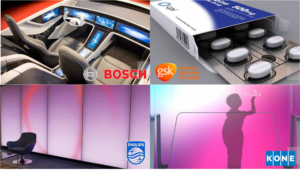 The projects are focused on integrating flexible electronics into advanced new products. Altogether 18 proposals were received for this cut-off date, all of which were evaluated by the SmartEEs Evaluation Panel. The funding amount for each of the selected projects will be decided during the contracting phase. If you would like to know more about the 2nd cut-off evaluation results, please check the Public evaluation report. If you are interested in SmartEEs funding opportunities, you can apply anytime until 20 September 2019. The next cut-off date for evaluations is 16 November 2018 (deadline: 17:00 CET). The major change of the SmartEEs Call for Application Experiments refers to What? section where clear instructions and further information are given to the applicants in order to understand the actual nature of support offered by SmartEEs. In addition, the section Process? was modified in accordance with consortium’s internal decision. The submitted application experiment proposals will be evaluated by the SmartEEs Evaluation Panel composed of 4 evaluators. Finally, section How? includes information about the new way of submitting application experiment proposals. Applicants are required to register through the submission software at https://apply.smartees.eu , download the Application Form, complete all its fields, save it as a PDF file (MAX 5 pages), upload and submit it through the software.